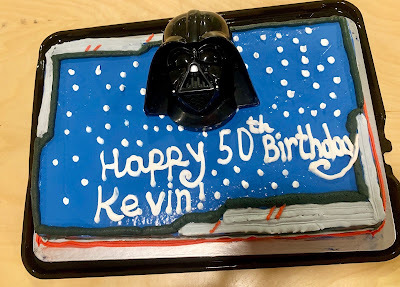 So, one of my co-workers/friends is turning 50 and I thought it'd be fun to surprise him with a Star Wars cake since he loves Star Wars and is also working on Galaxy's Edge. 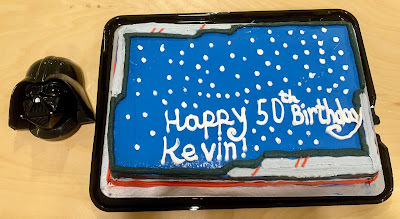 In fact, he'll be working on it during his actual birthday next week, so today was the day we celebrated at work. 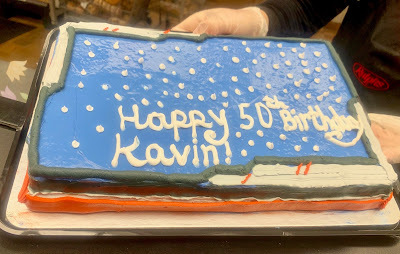 Years ago I had Ralphs make Keith a yummy themed cake, so I went back to them again thinking they'd do a great job. Well, I was wrong. 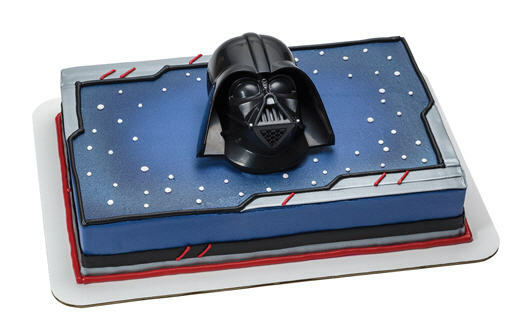 This is the cake I ordered. Cute, right? However, when I went to pick it up, this is what I received. They couldn't even spell Kevin right! When I pointed it out, the lady SHRUGGED and said she didn't do it. Um, does that make it OK? 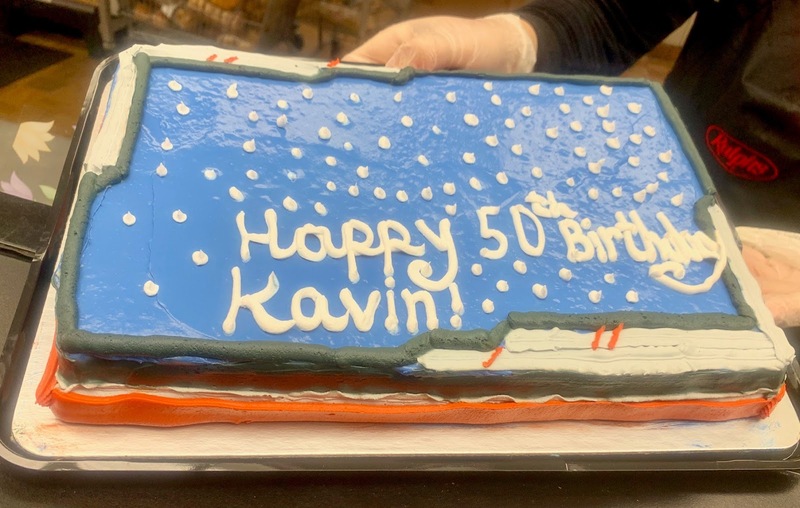 So, here's how it looks after she fixed his name....and as a bonus, she even left a fingerprint in the cake at no extra charge! 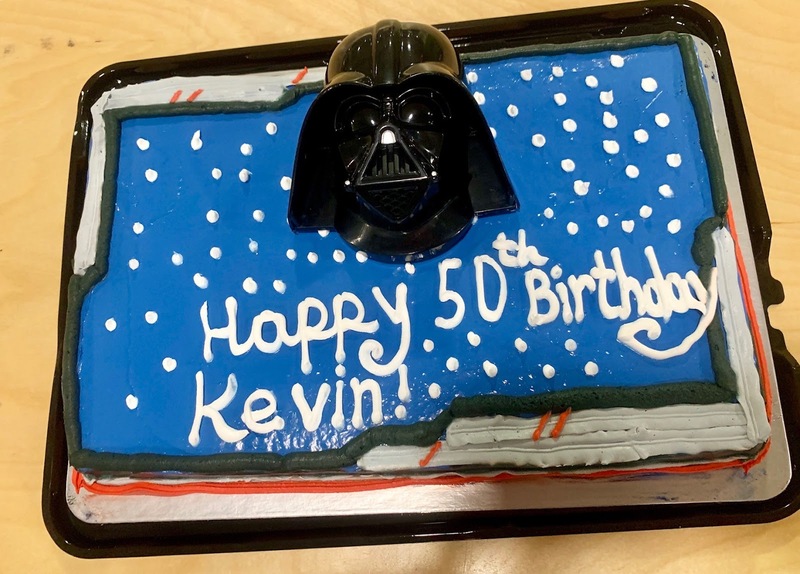 Once I put the Darth Vader head on it, I guess it was better? Still debatable. At least it tasted great!